Sign-up for our free monthly email . . .
Each month we send an email with FREE "Resources for Success." Our resources are designed to help you succeed in your walk with Christ. 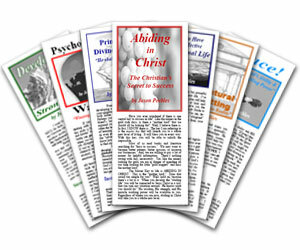 Our resources include Study Guides, MP3 Audios, and short Victory Videos – all absolutely free! Every month there’s something new! To be added to our monthly email list, simply complete the form below. You can also add your friends. "Resources for Success" email list! Optional . . . Add Your Friends Too! When you click "Submit" a copy will be sent to our office and to your email address. Subscribe and click the bell for notifications after watching! Short-term mission trips! Visit Adventures in Missions for global opportunities. Train on the Mission Field: YWAM bases and YWAM University in Hawaii. Missionary Coaching and counseling via Skype. Translation program for dozens of languages.